WCS recognizes New York City youth as future change makers and leaders. We focus on reaching youth and young adults, ages 14-24, from low-income communities that are underrepresented in STEM fields. 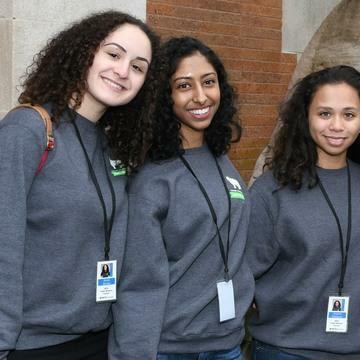 Through the WCS Career Lattice, a growing group of diverse, young New Yorkers is gaining the tools to increase STEM literacy and the opportunity to transform their first job into their future career. See below for a selection of programs that are part of the WCS Career Lattice. Generous support for the WCS STEM Career Lattice is provided by New York City Council Speaker Corey Johnson and the New York City Council, 21st Century Fox, the TD Charitable Foundation, and multiple private foundations. In collaboration with our Youth Advisory Council, WCS produces a series of professional development events that connect youth, alumni and staff, including our annual Job, Internship and Volunteering Expo (J.I.V.E. 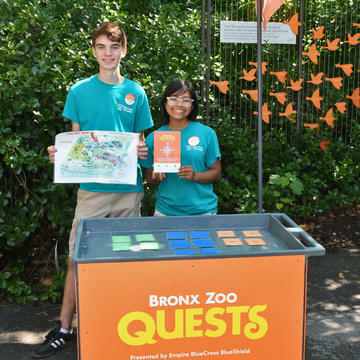 ), which welcomes 1,000+ young people to the Bronx Zoo to attend workshops and meet face-to-face with WCS hiring managers. We also cultivate a vast roster of 3,000+ young alumni through STEM-focused eblasts, social media and events. 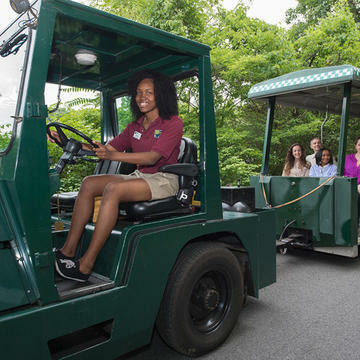 WCS has launched a partnership with community-based organization HERE to HERE and select public high schools in The Bronx to recruit and support 100 youth in seasonal employment and internships at the Bronx Zoo. Generous support for the HERE to HERE Bronx Partnership is provided by The James and Judith K. Dimon Foundation. WCS created this Council to train young, front-line employees to act as innovators for WCS. Members meet weekly to develop ideas that transform the workplace for both employees and visitors. To date, they have proposed over 400 ideas to improve business practices and workplace conditions. Generous support for the Youth Employee Advisory Council is provided by The Pinkerton Foundation. This volunteership provides over 400 young people across five WCS parks with foundational experience in conservation education. 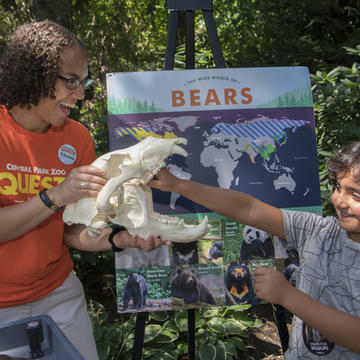 Youth facilitate over 1.5 million free, education and advocacy-related activities with visitors to our parks and gain over 100 hours in community service. 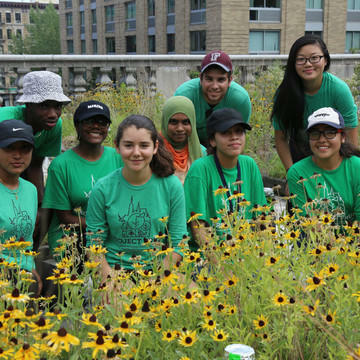 Each summer, Project TRUE provides rising Seniors from NYC high schools with the opportunity to conduct authentic urban ecology research with Fordham University undergraduate and graduate mentors, and earn a paid stipend. 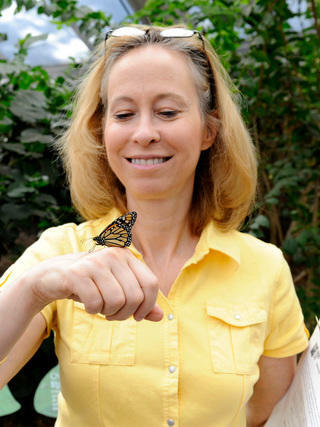 Generous support for Project TRUE is provided by the National Science Foundation and The Pinkerton Foundation. 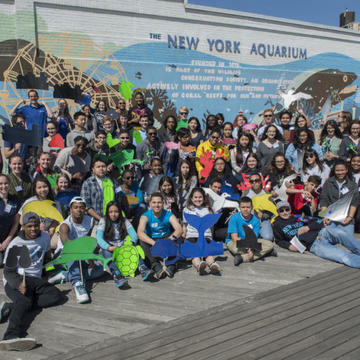 WCC provides a select cadre of youth with in-depth training in conservation advocacy at the New York Aquarium. 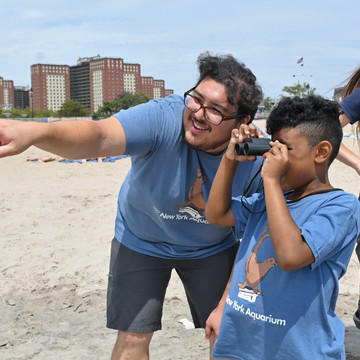 Youth engage their communities around a pressing marine conservation issue, host a Youth Ocean Conservation Summit for 80 of their peers, and earn a paid stipend. 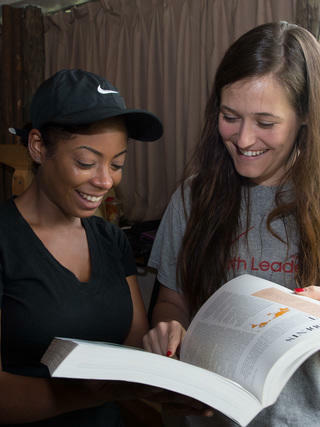 WCS Education provides paid fellowships to students from the City University of New York through the CUNY Service Corps, Culture Corps, and EDGE programs, as well as the Stella and Charles Guttman Community College. CUNY Fellows receive training in science education and assist with school and family programs during the school year. 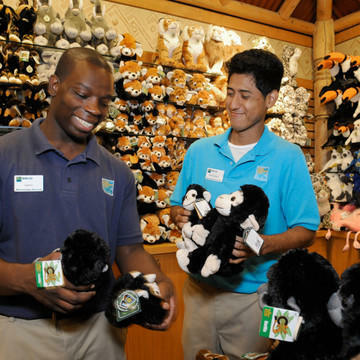 Each summer, WCS provides over 100 young adults with seasonal, entry-level employment in a host of conservation careers. 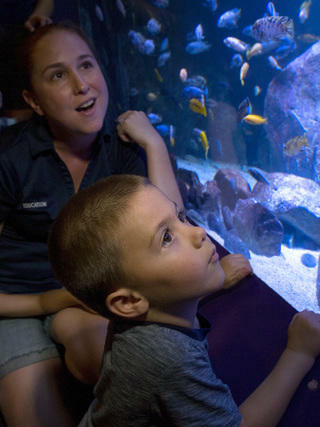 Youth earn upwards of $3000 in one summer working directly with our Special Animal Exhibits, leading educational activities with our camps, facilitating science activities with visitors at our exhibits, and more. 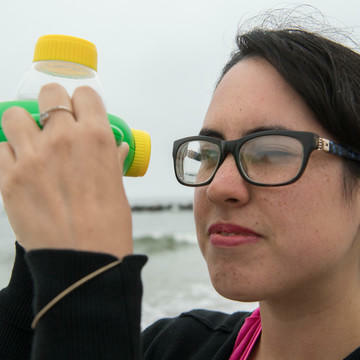 Teaching Fellowships provide dedicated young adults with a paid, extended experience leading school and family programs throughout the school year, preparing passionate young educators with the skills to work in science education. Hear more of Dr. Palacio’s speech here.